Doctor Autumn Shale, who has been the head veterinarian at the practice since 2001, was the first to consult Charlene about Jazzy’s unique condition. 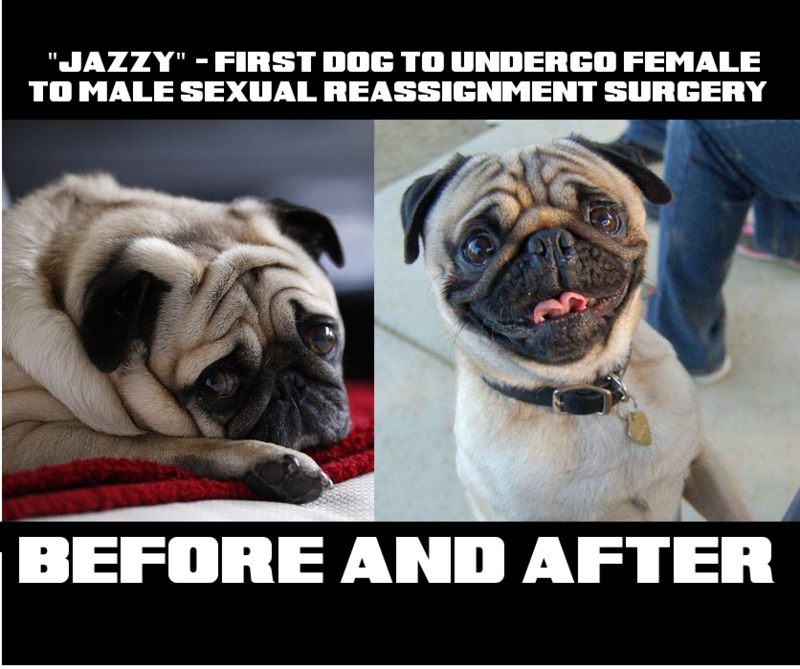 After an extensive examination which included hypnotism, and crystal therapy, it was determined that Jazzy had been suffering from gender dysphoria; Meaning, Jazzy was a male dog trapped in a female dog’s body. To our knowledge, Holistic Veterinary Solutions is currently the only veterinary practice to have carried out this complex and controversial procedure. The clinic has come under fire recently for merging approved veterinary techniques with progressive, New Age practices. Many find their methods to be unethical and have petitioned the state veterinary board to have the facility shut down and their doctors banned from practicing any form of veterinary medicine in the future.